Click on the tabs below for a recap of the meet that year. Scroll down to view the course records and the all-time top 25 times for boys and girls. 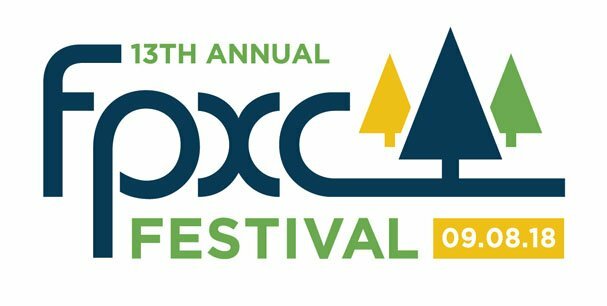 The 13th annual Forest Park Cross Country Festival landed during a week of big news with LouFest cancelling at the last minute (giving FPXC more parking!) and Tropical Storm Gordon making its way to the Midwest. While the forecast scared some teams away, nearly 4,000 athletes showed up in the pouring rain for a memorable, muddy day of racing. The sport of cross country is not for the faint of heart and this year’s FPXC showcased how tough cross country athletes are. The temperatures were cool, but rain was falling until mid-morning making the course soft for the first races then turning into an absolute mudfest – akin to 2016. Even though the course ran slow, the competition was fierce and close races ensued. In the Girls Green Varsity Race, Madelynn Hill of Liberty made a late charge to overtake Katie Moore of St. James Academy who led much of the race. It was O’Fallon led by 8th place Sofia Parker and teammates at 11th and 15th place that packed up well enough to win the race. The second through fourth place teams were only separated by one point each! Blue Springs finished second with 135 points, Francis Howell in third with 136 and St. Theresa Academy with 137. O’Fallon also showed their depth by winning JV Green race as well. On the boys side, it was visiting team Neuqua Valley from Naperville, IL making their first trip to FPXC who dominated the Varsity Green race, JV Green race and Freshmen race. Led by Michael Madiol in fourth place, Neuqua Valley’s 59 second spread was enough to secure the team title. The race for second and third was decided by 1 point! Patrick Hetlage of St. Louis University High School’s third place finish and a strong pack in the mid-twenties off set the 1-2 punch of Rockhurst’s top dogs. The Jr. Billikens finished second, edging out the Hawklets, although Rockhurst crowned the race champion Thomas Seitzer and runner up Wesley Porter. Webster Groves earned the team title in the freshman girls race, while Marisa Jacknewitz of Nerinx Hall won the race after the early leader took a wrong turn on the course. The freshmen boys race was a tight one with Festus and Neuqua Valley battling it out for the team title. Neuqua Valley was victorious on the team front, but Jacob Meyer of Festus took home the individual title. While the course conditions weren’t conducive to fast times, it is worth noting that in the Middle School Boys Green 3k, Cullen Krieg of Festus was only 12 seconds away from beating the course record for that race. Pretty impressive considering the race took place at the end of the day when the course was in the worst shape. The sun shone brightly on the 12th annual Forest Park Cross Country Festival. A beautiful blue sky graced Aviation Fields as 4,255 athletes from 265 teams in 7 states took to the start line on a warm day in September. Mirroring last year’s results, it was the “out-of-towners” who took the top spots in both Varsity Green races. Victoria Findley, a senior from Blue Springs South, made it a two-peat, defending her title in a highly anticipated race against Washington’s Mikayla Reed who held on for second. On the team side, the top six schools were all from outside St. Louis. What shattered the glass was Fatima, a Class 2 team, slaying the big school giants and taking the team title beating Blue Springs South by a mere two points. Victor Mugeche, a senior from Blue Springs, was pushed through two miles in the Varsity Boys Green race by Camren Fischer of Fayetteville, Arkansas. Unbroken, Mugeche made a big move in the last mile, and crossed the finish line with a 30 second lead over Fischer. His time of 15:27 earned him the 17th fastest high school boys 5k time in FPXC history – the only time of the day to get on the leader board. On the team side, three “visiting” teams took the podium spots with Rockhurst pulling out the win with 83 points over Blue Springs’ 91 points and St. Thomas Aquinas’ 99 points. In the freshmen races, Adam Perry from Farmington led the freshmen boys field for the win. Rockhurst, who missed the team title by just 1 point last year, packed up well to dominate the team competition. Maggie Jones of Sullivan sped away with the individual freshmen girls’ title. Lafayette put 5 girls in the top 20 to dominate on the team side perhaps giving a glimpse of a bright future for the Lafayette girls program. The only meet record broken this year was in the Men’s Open 5k with Bram Osterhout lowering the time to 16:26. To say the 11th running of the Forest Park Cross Country Festival was a bit on the muddy side would be an understatement. Several days of rain prior to the meet saturated the ground, and while precipitation let up Saturday morning and it was a beautiful day, the course turned sloppy quickly. Even though the course wasn’t conducive to PR performances, muddy memories were made. And many memories at that as FPXC saw record numbers again with 9 states represented, 275 teams and 4,500+ athletes. In the Varsity Green Divisions, it was teams and individuals who traveled to St. Louis, not the locals, who had the strongest showings. The Varsity Green Girls 5k was won by Victoria Findley, a junior, from Blue Springs South. Findley led for the majority of the race and won by a 13 second margin over Gabriela Kohring from Webster Groves. Findley brought her team along for the victory as well with Blue Springs South topping second place Fatima by just 8 points. Clayton Adams of Kearney made a move late in the Varsity Boys Green race to take the lead from defending champ Ben Naeger of Ste. Genevieve. Adams, a senior, who finished 4th in 2015 pushed ahead for a 6 second victory this year. On the team side, St. Thomas Aquinas from Kansas won fairly handily (87 points), lead by a fourth place finish from Alex Gill, over Kansas City’s Rockhurst (156 points). In the freshmen races, Jonathon Coffman from Herculaneum led the freshmen boys field for the win. Festus edged Rockhurst for the team title by just 1 point! For the second year in a row, Nerinx had the individual winner in the freshmen girls race. Allie Brown was the freshmen girls champion and brought her teammates from Nerinx along earning the team title as well. The only meet record broken this year was in the Women’s Open 5k when the course was arguably in the best shape. However you can’t argue with the talent of Jackie Pirtle-Hall who smashed the record by nearly 2 minutes and posting a new time to beat of 18:01. The Forest Park Cross Country Festival celebrated its 10th anniversary with a big move! FPXC made its new home on Aviation Fields in Forest Park in 2015. In addition to the new venue, a new course was created and several races traveled different distances (the open race went from 4k to 5k and the middle school races went from 2k to 3k). In addition, a third varsity division was added to accommodate growing fields and better segment runners for more competitive races. In the midst of all of the changes, the most important elements of the meet remained the same. FPXC delivered an electric and exciting atmosphere to race and spectate, showcased of top talent in the Midwest region and celebrated the sport of cross country with a first-class event. While the new course ran a bit slower than its counterpart on Central Fields, the performances were memorable none-the-less. Both the boys and girls Varsity Green races were won by individuals from Ste. Genevieve and teams from Lafayette. Ben Naeger, a junior from Ste. Genevieve, took the boys crown with a time of 15:25 (faster than any collegiate time from the day before), while powerhouse Lafayette packed it in with a 2-3-5 finish from their top three runners to handily secure the team title scoring 46 points. On the women’s side, a familiar silhouette, Taylor Werner of Ste. Genevieve was out in front almost from the gun pushing the pace throughout the race. The last three years of this race focused on the Hannah Long v. Taylor Werner “rivalry,” however in her senior year it was all Taylor. She won the race by 10 seconds with a time of 17:38. Lafayette proved to be the team to beat (and no one did) with Senior Anna West finishing in second place helping her team to victory. Other meet highlights included Anna Greene from Nerinx taking home the Freshman girls race title with Lindbergh coming out on top on the team side. Maxwell McDaniel of Festus broke the tape first in the boys freshman race, but it was Rockhurst who won the freshman boys team title by a landslide. The ninth edition of the Forest Park Cross Country Festival welcomed Saucony as the meet’s new presenting sponsor and saw more of the same in terms of amazing performances. The most anticipated race of the day was no doubt the Varsity Girls Green Division and what was dubbed as “Taylor v. Hannah III.” Eureka senior Hannah Long had won FPXC as a freshman only to finish runner-up to Ste Genevieve’s Taylor Werner the next two years. Both athletes were two-time Foot Locker National Finalists and ranked in the top ten in the country coming into the season. This time around it was Long who would take top honors in 17:07, book-ending her Forest Park career with resounding wins. The ladies from St. Thomas Aquinas (KS) took home the team championship, besting Lafayette by 17 points. The boys team championship was also a 17-point win as the young men of Festus up-ended the defending champs from O’Fallon (IL). The tables were turned on the individual side though, with O’Fallon’s Dorrian Gordon outdistancing Festus’ Michael Karls by five seconds to take the crown. Gordon kept the title in the family after his teammate Patrick Perrier had won the 2013 race. Highlights from the rest of the day included Varsity White Division titles for Washington freshman Mikayla Reed on the girls side and Westminster Christian Academy junior Andrew Murray for the boys. Owasso (OK) grabbed convincing team victories in both races. Nerinx Hall’s Sloane Montgomery took home the win in the freshman girls race while Rock Bridge’s Jacob Ripley “ripped” it up in the freshman boys race, leading his squad to victory. The eighth annual Forest Park Cross Country Festival presented by SSM Physical Therapy was one for the ages. Four Footlocker finalists graced the hallowed grounds of Forest Park looking to bring home the coveted individual championships. On the boys side Noah Kauppila of Marquette and Patrick Perrier of O’Fallon (IL) locked horns once again going 1-2 in the Boys Varsity Green Race in the same fashion from the previous year. This year however it was the eastsider’s turn to take home the crown beating Kauppila by just 6 seconds. Both boys went on to make the finals of the prestigious Footlocker Cross Country Championships, representing the top 40 prep harriers in the U.S. Perrier’s victory led O’Fallon to their second straight FPXC Team Championship. The Panthers went on to finish 2nd in the Illinois state meet in November in what is arguably one of the most competitive high school running states in the country. While the boys race did not disappoint, the girls race took the billing as the most anticipated race of the day. Coming off an amazing freshman year Taylor Werner of Ste. Genevieve was back and looking to defend her title which she took from 2011 FPXC champ Hannah Long of Eureka. The two girls raced away from the field in the opening half mile and while many were expecting another dual similar to 2012, Taylor had other plans. Racing away she outdistanced Hannah by 50 seconds and broke her own meet record by 13 seconds lowering it 16:47, the fastest time in the country at that time. Both girls joined Kauppila and Perrier in San Diego in December at the Footlocker Championships. Taylor’s single stick, led the Dragons of Ste. Gen to their first FPXC Team Championship defeating eventual Class 4 state Francis Howell by 24 points. In other races, Cam Byrley of Parkview edged super soph Malik Holman of Mexico for his second straight title in the Boys Varsity White Race. Winning by .2 seconds it was the closest finish of the day. Platte County made the trip from the west side of the state to take home the Varsity Boys White Team Championship by a massive 83 points. Courtney Rogers of Lutheran St. Peters (18:47.4) rounded out her FPXC career taking home the Girls Varsity White individual title, one she also took home as a freshman. Herculaneum’s girls squad led the way on the team side besting a tough Clayton squad by 37 points. The boys individual race was a heavyweight battle between three former top finishers. Noah Kauppila of Marquette pulled it off on the homestretch over O’Fallon teammates Patrick Perrier and Alex Riba to win in 15:18, the third fastest time ever recorded at the meet. A tight team battle was atop the girls varsity green between 4 time defending state champions Lee’s Summit West, Eureka and Rock Bridge as only 8 points separated them on the podium. There were no upsets here today as Lee’s Summit West was able to put it together with a 54 second split from 1-5 to win. Eureka held off Rock Bridge for 2nd place respectively. There was no competition in the boys race as O’Fallon (IL) scored a meet record low (since the festival moved to two divisions) team score of 66 points putting 5 in the top 27 to take home the team title by 75 points over Rock Bridge. Other meet highlights included meet records in the freshman girls 3k from Jackson’s Chelsea Drumm (11:11.8), the middle school boys 2k from Ste. Genevieve Ben Naeger (6:14.4) and the middle school girls 2k Anastasia Compton from Jackson (7:19.6). Varsity white division titles went to Elise Marker from Villa Duchesne and Parkview Junior Cameron Byrley. The sixth annual Forest Park Cross Country Festival was FAST. Unseasonably cool and overcast conditions combined with the deepest fields in the history of the event to produce 25 of the fastest varsity 5K FPXC times ever. The Varsity girls green division race saw Eureka freshman Hannah Long destroy the meet record with an 18:00.3, good for a 17-second victory over fellow freshman Kayla Funkenbusch from Rock Bridge. A grand total of six girls bested the four-year-old course record set by Ladue’s Natalie Todd back in 2007. While the top two girls were new to the high school ranks the boys individual race was a heavyweight battle between the top two finishers from 2010 in Rockhurst’s Zach Herriott and Caleb Wilfong from Rock Bridge. Herriott, runner-up the previous year, left no doubt as to whose day it was, gapping the field early on his way to a national-class time of 15:10. Wilfong, the defending champ, came up big in the final stretch to pass Festus senior Drew White for second. The Rock Bridge girls put on a show by scoring just 86 points to take home the team title, good for a 50-point win over runners-up Eureka. Not to be outdone the Rock Bridge boys also grabbed top honors, besting Rockhurst by 57 points. Other meet highlights included meet records in the freshman boys 3k from Rockhurst’s Carson Bode (9:52.2) and the middle school boys 2k from Poplar Bluff’s Isaiah Williams (6:35.3). Varsity white division titles went to Kaitlyn Fischer from Herculaneum and St. Charles West junior Sheldon Keence. The fifth edition of the Forest Park Cross Country Festival was a muddy one. A week of heavy rains soaked the course and record numbers of athletes promptly tore it up on Saturday morning. By the time the Varsity races went off there was hardly a dry line to be found but that did not seem to affect race winner Colleen Quigley. In arguably the greatest individual performance ever at the Festival, boy or girl, the Nerinx Hall senior dominated the field by nearly a minute and ran the second-fastest time female time ever despite the conditions. Quigley’s run at the Festival was a precursor of things to come as she finished off her season by qualifying for the Foot Locker National Championships where she finished 20th. On the boys side the field was as deep as it had ever been with the defending champion, Caleb Hoover from College Heights Christian, facing off against the top runners from all over the State of Missouri including Zach Herriott from Rockhurst in Kansas City, Caleb Wilfong from Columbia Rock Bridge, Festus’ Drew White and hometown favorite Tim Rackers from Saint Louis University High School. In one of the meet’s all-time best finishes it came down to Herriott and Wilfong surging back and forth over the final 400 meters with Wilfong, who had looked beaten coming up the final rise, digging down and coming out on top over the final straightaway. The team battles were exciting as always, especially on the girls’ side, with Lee’s Summit North edging out Jefferson City by just two points. On the boys’ side Festival first-timers O’Fallon (IL) ran away with the title, winning by a whopping 70 points over Marquette University High School from Wisconsin. The three-time defending champs from host Saint Louis U. High had to settle for third. Other meet highlights included a 1-2 finish from McCluer North teammates Nicholas Stewart and Drew Mueller in the Varsity boys white division, a 20:19 victory from freshman Lutheran St. Peters Courtney Rogers in the varsity girls white division and a sprint-to-the-finish in the freshman girls race that saw Kaitlyn Cravens from Gelndale edge out Mckenzie Elam from Oak Ridge by one tenth of a second. The fourth annual Forest Park Cross Country Festival was one for the ages. For the first time the meet became a two-day event with a course jog Friday afternoon featuring US Olympic Marathoner Brian Sell signing autographs and giving out Brooks posters. Brooks, a major sponsor of the meet, flew Brian down for the weekend and he was on hand for Saturday’s races which were some of the fastest in the four-year history of the event. The course was in very good condition and the girls, especially, took full advantage with 20 athletes breaking the 20 minute barrier. Jefferson City’s Briana Watson led the way in 18:59.8, the second-fastest time ever at the Festival. Watson pulled away from a lead pack that included her teammate Conradette King, MICDS’ Grace Bridwell and a host of others. On the team side despite Jeff City’s big 1-2 punch it was the ladies from Springfield Kickapoo that took home the title with 73 points led by Liz Reida and Lauren Collette. Jeff City, Lee’s Summit North, Jackson and Eureka rounded out the top five. The storyline for the boys was whether or not junior Caleb Hoover from tiny College Heights Christian would be able to take on the top runners from all the big schools at the biggest meet of the year. The answer was a resounding yes. Hoover pulled away in the second mile and never looked back, running 15:35.2 and moving into third on the all-time list for the Festival. Grabbing runner-up honors was Marquette University High senior Jake Erschen who traveled down from Wisconsin to take on Missouri’s best. Erschen and his Marquette teammates finished second in the team battle to hosts Saint Louis University High School, who won their third straight Festival title. Other meet highlights included middle school records for the boys and girls for the second year in a row. Potosi’s Thomas Gross won the boys race in 6:38.8 and his teammate Kassie Rawlings shattered the girls record in 7:23.6. Perhaps no race was more impressive though than the freshman girls race where Eureka’s Angie Sumner blitzed an 11:12.3 to smash the old record by almost a minute. The third edition of the Forest Park Cross Country Festival was presented by National City and word had obviously spread about the event with many more out-of-town teams traveling to the meet including traditional State powers Jefferson City and Lee’s Summit North. For the first year the fields were split into two divisions to accomodate the high number of entries. Warm temps prevented any possible course record attempts but the races still sizzled with tight team and individual battles across the board. No race was closer than the battle for the GO! St. Louis varsity girls green division title between Jefferson City and Kickapoo. The two squads were tied at 96 points through five runners with Jeff City then claiming the championship on the strength of their sixth runner, Hilary Weaver, who finished 40th. The individual race was won by one of the top female distance runners in Missouri State History, Festus’ Alyssa Allison. The senior added a Festival title to her already stellar resume’ that now includes a total of eight individual State Championships in cross country and track. On the boys side hosts Saint Louis U. High defended their title from 2007 with a resounding 72 point win over Kickapoo. The individual race was much closer with defending champ Jacob Swearingen keeping the Potosi winning streak alive with a two second victory over Kickapoo junior Danny Thater. Swearingen would go on to win another Missouri State Championship in November as well as qualify individually for the Nike Cross Nationals in Portland, Oregon. Other meet highlights included new middle school records for the boys and girls. Cape Central’s Billy Leighton ran 6:40.1 to take home the boys championship while Potosi’s Sarah Jacobsen covered the 2k course in 7:41.9 to win the girls race. In the junior varsity boys green division Rockhurst was able to upset Saint Louis U. High by two points while the ladies from Rock Bridge dominated the JV girls green division scoring only 26 points. The second annual Forest Park Cross Country Festival nearly doubled in size with more than 2,000 athletes competing over the course of ten races. The story on this day was not one team but rather the incredible depth in the GO! St. Louis Varsity boys and girls races. An amazing 34 runners broke 21 minutes on the girls side with 26 boys dipping under 17 minutes. With 32 teams in each varsity race the compeitition was as tough as any race in Missouri, perhaps including even the State meet. For the second year in a row the meet featured the eventual Class 3 and Class 4 State Championship boys teams. The hosts from St. Louis University High School won a close battle over Marquette University High School from Milwaukee to take the boys team title at the Festival. SLUH went on to finish the season undefeated in Missouri and finished third at the Nike Team Regional meet in South Dakota. Marquette finished third at the Wisconsin State Meet. The girls team title went to the ladies from Ste. Genevieve who were victorious by a mere three points over a tough Rockwood Summit team led by individual runner-up Aimee Bonte. The individual title for the girls went to Ladue junior Natalie Todd who blitzed a field that included Bonte as well as State Champions Alyssa Allison from Festus, Lauren Borduin from Rock Bridge and Hilary Orf from Marquette en route to an 18:41 course record. While Todd won by 19 seconds on the girls side, the boys race was much tighter with a pack of five separating themselves from the field from the gun. Kickapoo’s Rick Elliot took the early pace, followed by 4:13 miler Adam Behnke of Lutheran South, Francis Howell North’s Matt Schwab and the dynamic duo of Jacob Swearingen and Nick Niggemann of Potosi. In the end all five runners broke the 16 minute barrier but it was a late charge by Swearingen that sealed the race for the junior. His time of 15:39.6 made him the third fastest performer in meet history. The girls Junior Varsity race was won by Columbia Rock bridge for the second year in a row as they outdistanced St. Joseph’s Academy by 34 points. Marquette took the freshman girls race, scoring an impressive 34 points. The boys JV and freshman races were won by SLUH, making it a clean sweep on the day for the Jr. Bills. The inaugural Forest Park Cross Country Festival saw more than 1,100 athletes compete on the fast, spectator-friendly course at Central Fields in beautiful Forest Park. The story of the day was the Potosi boys team, who scored a mere 30 points to dominate a very strong field that included eventual Class 4 State Champs Fort Zumwalt South. The Trojans, led by seniors Josh Thebeau and Josh Mathis used the meet as a springboard to an incredible season that included another Class 3 State Championship and a 7th place finish at the Nike Team National Meet. The girls race was won by the yellow-clad ladies from Rock Bridge High School in Columbia, Mo. Led by individual runner-up Lauren Borduin the Lady Bruins put five runners in the top 28 and out-distanced second place Marquette by 23 points. Marquette came out on top in the individual race however, with eventual Class 4 State Champ Hilary Orf taking the victory in 19:07. The boys junior varsity and freshman races were won by the boys from St. Louis University High who scored a meet low 17 points in winning the latter race. The girls JV race was another Rock Bridge versus Marquette battle with Rock Bridge coming out on top just as they had in the varsity race. Fort Zumwalt South took home top honors in the girls freshman race.